So you’re ready to get out of the renter’s cycle and and buy a new home. Or maybe that 2BR 1BA seemed huge when it was just you, but now you need more room. You’re preparing to embark on an exciting journey and we want to help you get to where you want to be. So let’s have a quick discussion about how you can move into a new home sooner rather than later, by making some smart financial decisions now. You’d be surprised how small tweaks to your plan can go a long way toward helping you accumulate that 20% down. We’ll start here because even some people who are otherwise smart with money don’t keep a budget. They just don’t realize the benefits of simply writing things down. It can really put things into perspective. After you get it on a paper, in a spreadsheet, or into an app, ask yourself some important questions. Where am I spending my money? What am I willing to do without for a short time to save faster? You must set goals in order to achieve them. Otherwise, it will take much longer than it should. What financing options do I qualify for? How much home do I need? What does that home cost? Bonus: It’s always good to save an extra 5-10% for any immediately needed repairs or costs that may come up. This is important. Putting your money in the wrong place can cost you. If you want to buy a home in the next 1-5 years, your money should be in a savings account or money market. If you have a longer horizon, a CD may be a better option. But we don’t want to see you get hit with penalties, so make sure you know of any minimum balance requirements or early withdrawal stipulations. You’re money definitely does not belong in risky investments like the stock market. Since you will need it soon, you run the risk of a short term decline in the market at a very bad time. This could force you to wait for it to go back up and lose your dream home. It’s amazing how you can build momentum when you just start moving in the right direction. Know where your money is going, cut back where you can, set goals and put your money in the right short-term location. And we hope to see you in your new home soon. If you are ready to escape the business of the big city, Fairway Hills is the community for you. Situated across the street from the Fair Oaks golf course, you’ll be treated to lush views of the manicured greens from your quiet residential street. The Fairway Hills community offers the chance to be close to work, school and shopping while enjoying the amenities that new homes have to offer. Fairway Hills homes are built in the Craftsman architectural style. This style features a symmetric front with a simple triangular roof and a small front porch. The homes have small front yards and larger back yards so that families can get outside and enjoy the long Tennessee summers. 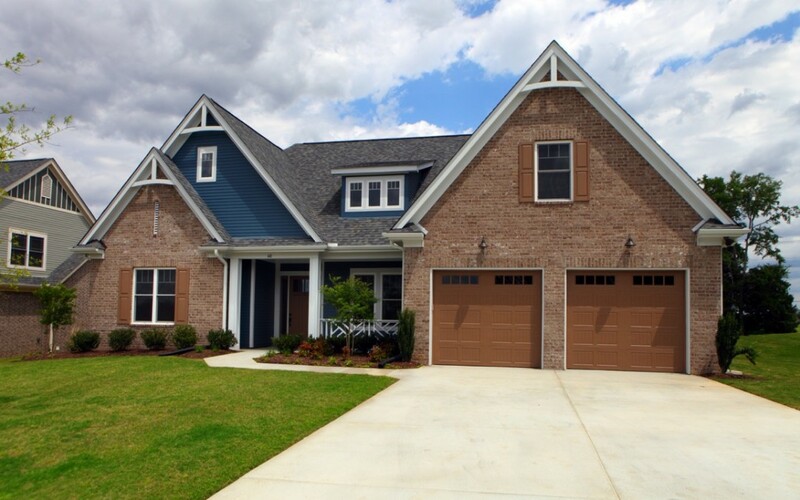 The Craftsman building style emphasizes quality materials and careful workmanship. Most of the homes have a kitchen, living room, family room, dining room and half bathroom on the first level and three or four bedrooms and two bathrooms on the second level. There is plenty of room for a growing family or for you to invite guests for the night. If you are ready to move in right now, there are homes in Fairway Hills waiting for you. The move-in ready homes feature all new appliances, gleaming floors, generously sized cabinets and more. You can do all of your living on one level and have rooms on the second level reserved for visits from your extended family. You could also use the extra space for your home office or hobbies. When you are ready to buy a new home, buying a lot and working with our architectural team to customize it to your preferences is a great option. You can choose the color of the floors, the types of appliances and the layout of the rooms. You can even choose to have an optional fifth bedroom or a home office in your newly built, custom Craftsman home. Fairway Hills offers many perks once you move into your new home. You will find that your neighborhood has carefully constructed sidewalks, beautifully landscaped medians and well-lit pathways. The neighborhood is ideal for stepping outside and socializing with your new neighbors all year long. The shopping centers, cafes and entertainment areas of Oakland are just a short drive away. When you are ready for nightlife, Memphis is less than an hour from your front door. When you envision building your dream home, chances what you see stretches beyond how many rooms it’ll have or if there will be a pool. You probably are driven by tranquility, whether it is a home with architecture that flows seamlessly into the nature around it or one that simply has the right location components to suit your individual lifestyle. When building your dream home, you should try to isolate what it is that creates your ideal setting. Outdoorsy types may want to build a home overlooking a lake or shaded by forest trees. City dwellers may want an uninterrupted view of an iconic skyline. Once the location is found, you should build an inspiration board, whether on Pinterest or in a binder, of home styles and material types that strike a chord with you. This can be used later to create a cohesive idea to discuss with an architect or home builder. Those who don’t care to cook may not need such a large kitchen for entertaining and may choose to allot space for a larger office or master bedroom instead. Someone who lives in a northern location may simply not want to devote much time to elaborate patios or a pool if the climate is mostly cool. Creating a clear picture of your home’s function will help a professional design when building your dream home. It also will aid in establishing a general budget for the type of home you want to build. Finding a beautiful setting is one thing but making sure the neighborhood’s philosophy doesn’t conflict with your own is another. Using a website, such as www.hoa-usa.com, you can find specific homeowner’s association regulations for a neighborhood you are interested in. Some HOAs are more open to customizing your home, while others may be more restrictive and want little variation in the overall appearance of a neighborhood. Some may even impose fines for those violating their rules. Of course, simply speaking with neighbors will give you a general idea of the tone of the neighborhood. If you like a specific neighborhood, you will also have to examine the city, state, county and school taxes. A website such as US Realty Records will give you a general idea about the taxes for an individual property, as will local government sites. You will want to see records of tax increases in an area over a period of time to help establish if the area will be within your price range. Finally, one of the most important steps you take will be selecting a home builder. You can discuss if they offer energy-efficient green options to save you money, if they specialize in the particular style you are interested in and if they are properly licensed and insured. Websites, such as HOUZZ will give you access to customer reviews and portfolios for a broad array of builders in each state. Of course you will also want to tour any model homes they have to offer to see a clear vision of their style and building materials. Only then can you begin your journey to building your dream home. 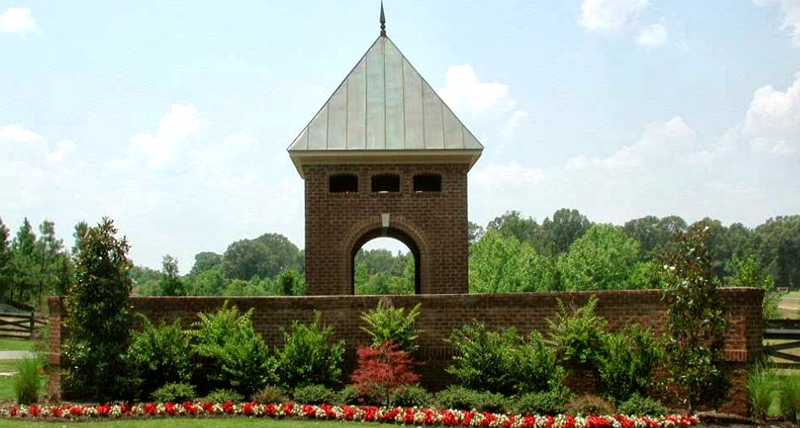 Flush with character, the Cloisters of Hickory Withe is a world of horse farms, agricultural heritage, luxury homes and some of the most beautiful greenery you’re ever going to see by simply looking out the window. This is a community where residents and governing bodies have set a standard for development that works around the area’s natural beauty. Sitting in Fayette County, Hickory Withe has custom built homes surrounded by massive, majestic trees, woods and rolling hills. There are passive parks, natural trails and stunning bodies of water within walking distance of many homes. It’s a neighborhood developed to be quiet and exclusive, tranquil and grand, designed to ensure a quality of life you cannot find anywhere else. Many of the homes here are custom built, though even pre-built residences have been engineered with the same care. Privacy is paramount. You could travel through the community and not see the homes as many neighborhoods are cleverly hidden in the landscape. We’re talking hundreds of acres of land with stunning homes, private parks, walking trails and lakes that will not be found unless you know where to look. The Cloisters is adjacent to Memphis and Arlington. That gives anyone living here all the cosmopolitan recreation they could want. Graceland and the legendary Sun Studio, Germantown, the historical Beale Street district, Wolfchase Galleria, Mud Island, AutoZone Park and the Lichterman Nature Center. Work, shop, dine and play as the region provides amenities that will satisfy any tastes and come home to the Cloisters. While Hickory Withe’s populace has been gradually growing, it still remains a hidden treasure, fostered by an aura of security and safety. There are low crime rates and even lower county taxes. There are neighbors that understand the preservation of their neighborhoods are dependent on working together. Families living in Hickory Withe appreciate the standard of living afforded them and put preserving it front and center, working with everyone from politicians to holding land developers responsible for maintaining the beautification and lifestyle so many have struggled to create. The Cloisters is a great place to live. Inspired by a quaint European allure, home styles are varied but definitely western European influenced with features that are French Country, French Chateau and English Manor. Some have said living in the Cloisters of Hickory Withe is like stepping back in time. You could walk along these neighborhoods and not know it’s the 21st century. When you are seeking knowledgeable Memphis home builders, then talk to the experts at Southern Serenity Homes LLC located in Oakland, Tenn. If you are planning to build a customized home, then you want to hire the best contractors to ensure everything is perfect. Southern Serenity Homes has been in business for over 20 years, and this makes it easy to visit other structures that the contractors have designed and built. Southern Serenity Homes is known for creating beautiful buildings, including for the St. Jude Dream Home Giveaway Contest. You can purchase a ticket to enter this contest that provides money for a charitable organization. However, if you don’t win the house, then you can hire the contractors to build a custom-designed home or learn where our company’s ready-made homes are available. In addition to the wide assortment of ready-made homes in different neighborhoods, our clients can customize a home to their exact specifications. We believe in integrity, value and quality when designing and building a home for our clients. You can view a beautiful gallery of homes along with looking at interior floor plans to help with making a decision about a customized home. It is important to remember that our company’s policy is to treat our clients as though they are family members and friends. We know that a new home is the most important investment that people make in their lifetime, and they require the best service. When you are seeking Memphis home builders, you must hire a company that has excellent reviews from previous clients. Organizations such as the Better Business Bureau have no complaints from customers concerning the homes built by Southern Serenity Homes. By visiting a home built by our Memphis home builders, you will notice the fine craftsmanship and attention to detail that Southern Serenity Homes is known for having. Each home is built with pride from the highest-quality materials, and we want the buildings to look beautiful on the interior and exterior.